In this absorbing new entry in the acclaimed New York Times best-selling series, Scotland Yard's Ian Rutledge is caught up in a twisted web of vengeance and murder. The gentle boating expedition turns into a nightmare when the four young women in the boat, trying to rescue a drowning man, are accused of attempted murder. 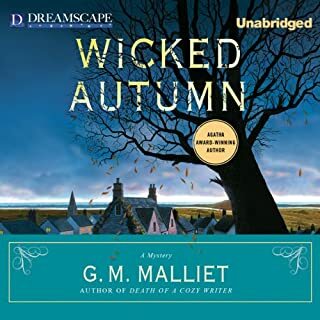 Rutledge is sent to Cornwall to replace another detective who died. He arrives and finds one of the women is Kate, cousin of his pre-war betrothed. 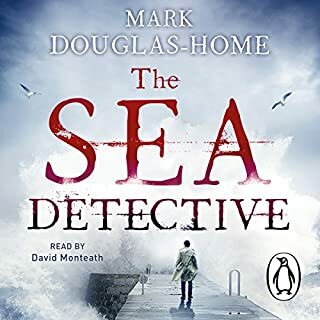 Can he keep them out of prison while he tries to untangle the truth from the lies while the number of dead and injured seem to be mounting on this quiet Cornish estuary? It is surprising to realise that this is the 1920s; there is still very basic medical care from doctors with no hospitals or x-ray machines and other things we now take for granted like telephones or motor cars are not commonplace either. With no shred of evidence and the initial statements lost, his problems seem insuperable. Can he find any evidence to overturn the accusation and save the women? Nail-biting to the end. Wasn't expecting too much but was very surprised. I couldn't stop listening. The narrator did an excellent job and made the characters come alive. If you like old fashioned who dunnit mysteries you will like this. Thoroughly enjoyable listen. This Inspector Rutledge audio is outstanding! The latest Inspector Rutledge novel with Simon Prebble's narration is outstanding! 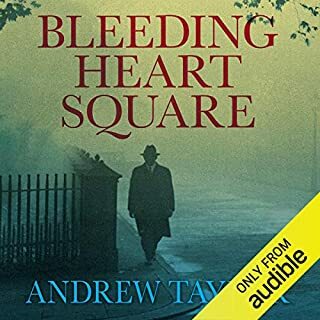 As most audio book readers (listeners) realize, there are not many good writers of "police procedural" novels and even fewer of the very important good narrations. 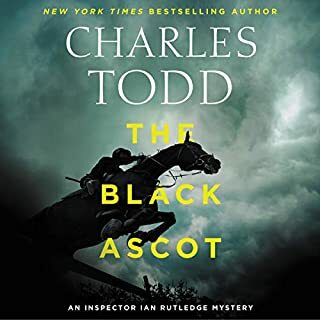 The Inspector Ian Rutledge series by Charles Todd (pen name for the mother-and-son writing team of Charles and Caroline Todd) is unique for the police procedural genre. The entry in Wekipedia says it best -"The books deal with the cases of Inspector Ian Rutledge, a veteran of the European campaigns who is attempting to pick up the pieces of his Scotland Yard career." In my opinion they are not the typical "who done it" story lines, but more of a what it was like to be a Scotland Yard detective in post World War I Britain tasked with assignments of assisting local police to confirm their suspicions and finding himself having to prove who didn't do it. This latest novel, "No Shred of Evidence", a perfect example. As with all the novels in this series, Rutledge has to work without benefit of forensics. He must rely on information gleaned from others the most difficult of which is the local aristocracy, who at that time looked down on "the police" and were loathed to cooperate in any investigation that might create any scandal. That and his gut feel, which is expressed in the form of the voice of Hamish Macbeth, a corporal that he was required to execute during the battle of the Somme. A duty that has haunted him ever since. The first nine novels in the series were narrated by Samuel Gillies. I would rate his narration at 4 stars. For the next nine novels, Simon Prebble took over. His narration goes beyond the typical narrator's reading and is what I consider to be a 5 star performance. 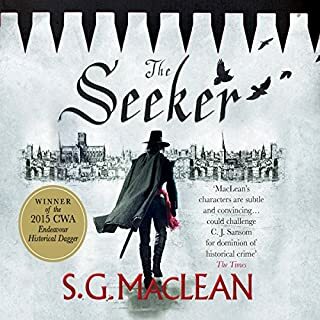 Prebble's talent and skill puts him in a class with very few other audio book narrators. As I listen to Prebble's performance, I actually feel transported to the scenes and actions in the novel and become a bystander. 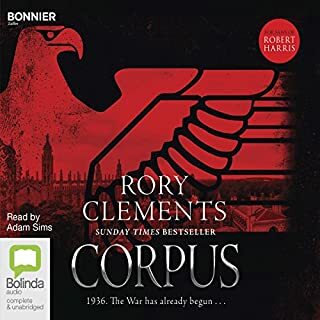 For me, the plot really becomes secondary and it's the details of the scenes, penned by Charles Todd and Prebble's performance that make it all so very entertaining. The two worst words being "The End." 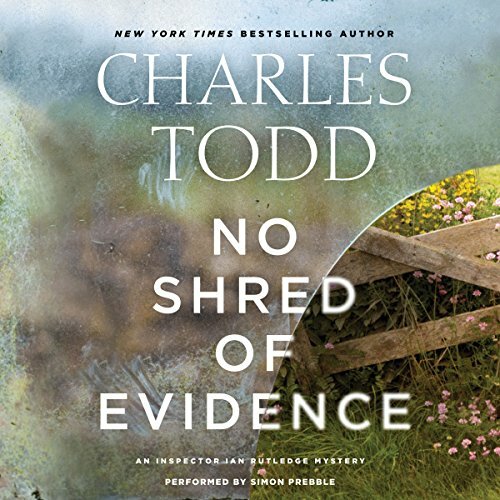 Although in my review of "Proof of Guilt" (#15 in the series) I rated it the best of a great series, I now think that this latest novel "No Shred of Evidence" (#18) is the very best. Having listened to all 18 at least twice, picking the best is not easy. 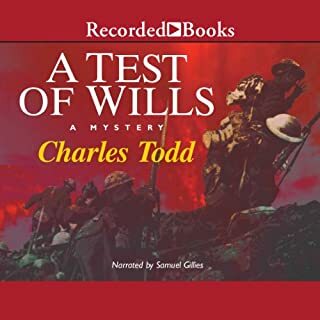 This series is very chronological, so from that point of view the reader (listener) should probably start with #1 "A Test of Wills", although the Todd team wrote a pre-quel "A Fine Summer's Day" that was released 01/06/15 (#17). It is about Inspector Rutledge before he went off to war in 1914. That novel was narrated by Steven Crossley, which is the only one in the series that he narrated. I was pleasantly surprised to find that Prebble returned to perform the narration of this current release. Incidentally, Prebble has narrated over 500 books since "retiring", in 1990, to the US from an acting and narration career in Britain and in 2010 he was awarded the coveted Audie. Every book in this series is masterfully done. This may be my favorite. From the opening scene to the end we are carefully taken through a captivating journey. An extremely satisfying listening experience!! Absolutely. Especially if my friend enjoys this genre. 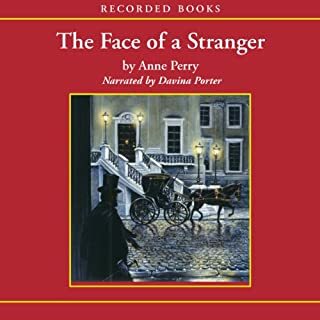 This series has been one of my favorites, along with Anne Perry's "Charlotte & Thomas Pitt" series, & "William Monk". I am also a fan of Jacqueline Winspear's "Maisie Dobbs" series. These are great mysteries, and to me, they are proof that superior contemporary writing is still available without being trashy. BRAVO!! I'm seriously considering going back and re-listening to the entire series! I avoid books with vulgar language, explicit sexual situations, or gossipy, catty women. Without hesitation. I wish he could write faster! I love this series. It always seems to tug at my heart strings. I love that it's written during a time period when people still had manners and being polite was a good thing. The only negative? Waiting for the next Inspector Rutledge installment. Hopefully it's already in the works. Ian Rutledge mysteries offer so much. The police work is interesting in reminding us how far forensics have come since the 1920s. Descriptions of post-WWI England with all the disillusionment and pain are particularly vivid in Todd's work. And character Hamish, whom we get to know so well, adds a unique element. Consequently, the people and the atmosphere in these books often matter as much or even more than the actual mystery puzzle. "No Shred of Evidence" adds another feature: it highlights the plight of upper class young women. They have been through a horrible war and the personal loss of so many brothers and sweethearts. They've risen to the challenge of filling in on the home front in family and business capacities for men away at war and as nurses. Yet they are still - or again - relatively helpless daughters of men. Restricted so by their gender and class, they tend to fall into stereotypical categories: hysterical, plucky, helpless. They are defined by the positions and temperaments of their fathers and are judged warily and often dismissively by police. It's good to see Ian Rutledge continuing the slow emergence from his shaken physical and mental state and encountering a young woman from his past. She seems to give him more perspective on the betrayal of his ex-financee and wake him up to the possibility of further future healing. I look forward to her potential role in upcoming additions to the series. And Hamish, it seems, continues the change in role from a nearly unbearable torture mechanism for Ian to the more appreciated and valuable sort of "third eye" or enhancing instinct which can help a policeman so much. This is a thoughtful and totally appropriate progression to keep the Rutledge series from getting stuck in the original - sometimes paralyzing - concept of Ian's guilty feelings about his place in (and survival of) the war. The series continues to be one which offers solid mystery with lots of worthwhile extras. 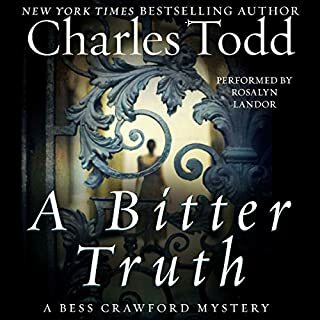 I hope the mother/son team of Charles Todd continues to explore this fascinating world and that Simon Prebble comes along as excellent narrator. Another great Ian Rutledge mystery. There is much tension between the charge against four young 'well-bred' women and what you are pretty sure actually happened from the beginning, although there is some doubt as to the details of the event. 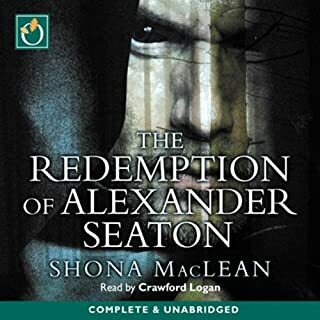 I was a little confused about the ending - it seemed as if Rutledge was willing to give up on finding the whole truth since he was satisfied justice was done. He always says it is not his job to determine guilt or innocence, just to uncover the facts and evidence, but in this one he seems to be willing to make the leap to judgement. 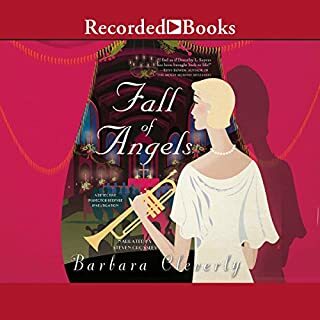 I have listened to all the audiobooks in this series at least once, most of them twice. As with all of them, the details of life in post World War I Britain are at least half the enjoyment. I look forward to the next installment in the series. 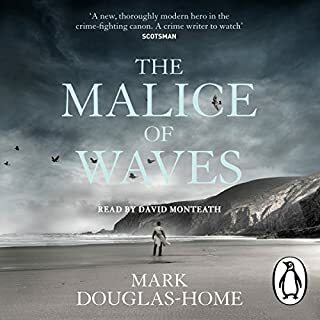 If you have not listened to any of them yet, I recommend you being with the first book, after which I'm sure you will be hooked if you love a good British detective mystery. What an incredible reading. I want to listen to all of Mr. Prebbles narrations! This was my first Charles Todd, and I enjoyed it ever so much! I will be reading/listening to many more! I love this mystery series. Another great book from the Charles Todd duo. This one has an out of nowhere plot twist just when it seems like Rutledge is stumped and the innocent will hang for murder.